Slam Cartel WorldStarLove video montage EXCLUSIVE! 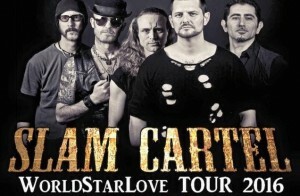 Here at Festival in the Park HQ we are delighted that Slam Cartel have given us an exclusive preview of a video montage for their current single WorldStarLove! Follow the link to catch a glimpse of the guys in action!